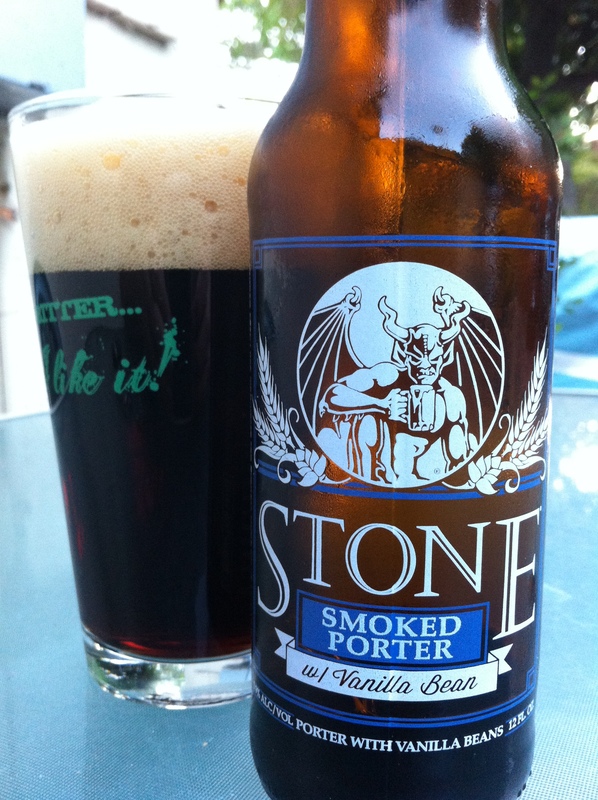 I’m going to start off by saying that Stone really needs to differentiate the bottles of their Smoked Porters. All three versions use the same basic label with just an extra line below the name specifying any additional ingredients. 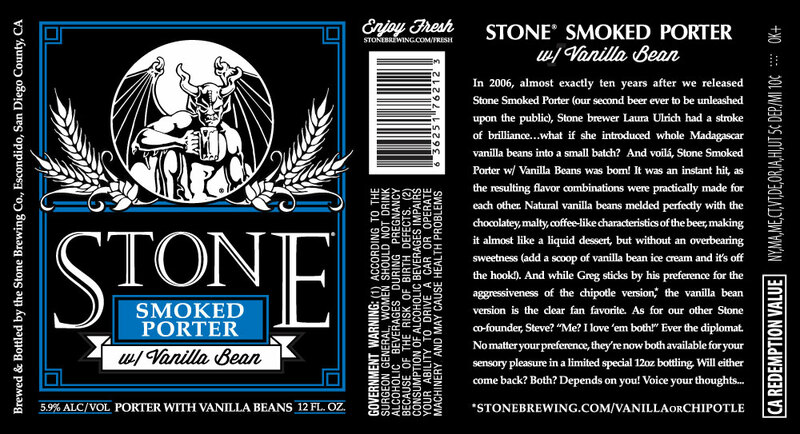 Maybe invert the blue and white on the Vanilla Beans label and/or add some red to the Chipotle Peppers label. I know it’s ticky-tacky, but I mixed these bottles up twice during the few days that I had them in the fridge. The beer pours a darkish brown with maroon highlights. Head pours like a chocolate milk before fading to two inches of creamy foam. Lacing is relatively mild for how fluffy the head was. Nose is rich with chocolate flavors (similar to Cocoa Pebbles) with the vanilla bean equally as noticeable. Pale malts are detectable along with the occasional touch of grassy hops. The blend of chocolate and vanilla made me want to dive into this beer (literally). The taste starts with rich milk chocolate, then a faint touch of grassy hops, before a vanilla bean ice cream flavor comes through. It finishes with roasted malts that counter the sweetness. I really enjoyed this balance of flavors, but sadly as the beer warms up they start to blend together into an indiscernible blob of sweetness and malt. Mouthfeel is medium and slightly creamy. A faint drying starts toward the end of each sip and may be from the smoked malts. Some creamy malts are left behind after each sip. This is a really good beer. I remember trying this at the brewery a few years back and wishing that it was more readily available. Now that it is this may become my new go to Porter.